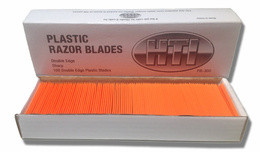 Plastic Razor Blades. Pack of 100 double edged, sharp razor blades. 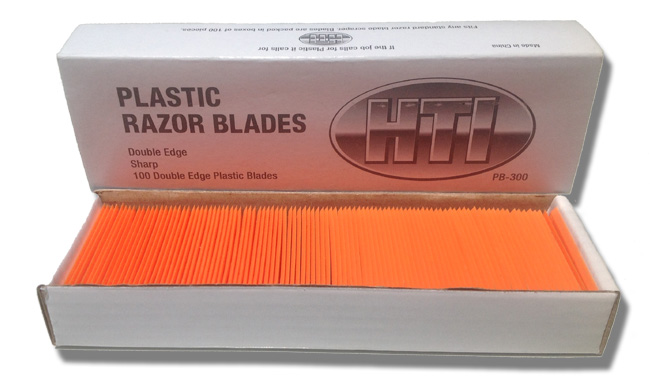 These plastic razor blades enable you to safely clean and remove decals, pin-srtipe, paint, dirt, tar and other debri from delicate surfaces including coated and tinted glass. 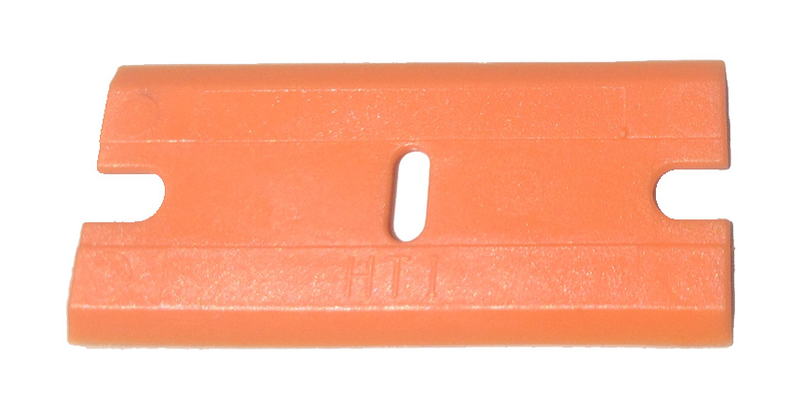 Each plastic razor blade is constructed of durable scratch resistant plastic and features a razor sharp edge. 100 pack - Orange in color.